Forty-four million Americans have student loans, and the total balance recently passed $1.5 trillion, and it keeps rising. If you are one of the many millions with monthly student loan payments, you may be able to save money and simplify your payments with a student loan refinance. But before you do, there are some things to consider. Beware that you can usually only refinance your loans once, so only go through with a refinance when you are sure it is a great deal and will save you money in the long run. That means you should only refinance to a new loan with a lower interest rate, not a higher one. Also, understand that refinancing is not the same as consolidating. When you consolidate, you effectively merge your existing loans into one. When you refinance, you pay off your old balances and create a new loan with new loan terms and conditions. Interest rate: The interest rate is the primary driver of what the loan costs. When refinancing, you may find both fixed rate and variable rate loans. Keep in mind that with a variable rate, your interest rate and payment can go up when market rates rise. With a fixed rate, it won’t change for the life of the loan. Variable rates are usually a little cheaper in the short-term, but in a rising interest rate environment, they can cost a lot more in the long run. Fees: Lenders may charge an origination fee and other fees for servicing your loan. A fee-free refinance is ideal if you qualify with a lender that offers that perk. Also, make sure you don’t have any penalties for early repayment. Term: The term is how many years you have to pay off the loan. A shorter loan usually saves you money in interest, but that usually means a higher monthly payment. For your finances, a shorter term is better if you can afford it. Most student loan refinance options range from five- to 20-year terms. Now that we have all that out of the way, let's take a look at the best student refinance options that companies are offering today. SoFi is short for Social Finance. This unique finance company started in the student loan consolidation and refinancing space before moving on to offer a wide range of financial services. But the student loan still lies at the heart of SoFi. SoFi offers a very quick application process that takes about two minutes. SoFi looks beyond traditional metrics such as income and credit scores (though they are still important) and includes a look at your school and degree. This means those with great long-term career prospects may qualify for a loan with SoFi even without a great credit history. SoFi also offers unique support options to help you grow in your career while managing your loan. This includes events at local bars and restaurants and career coaching. 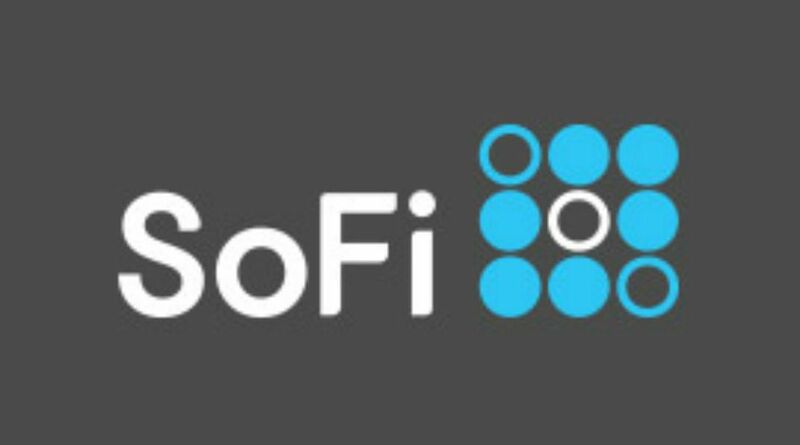 Entrepreneurs also get favorable treatment at SoFi compared to many other lenders. Earnest is another technology-based lender that offers student loans in addition to a range of other loans. Earnest stands out for its trademarked Precision Pricing model. This tool allows borrowers to choose a loan based on the monthly payment. Earnest also claims a lower average interest rate than competing lenders. Because it is a technology-driven company, it offers fast applications and takes about two minutes to get an estimated interest rate. Once approved, you can log in and use the Precision Pricing tool to choose your exact monthly payment and interest rate. Earnest also offers a library of resources to help you better understand your loan and your credit so you end your student loan experience in a better credit position than when you started. Citizens Bank is a major bank in some parts of the country, but even if you don’t live near a Citizens Bank branch you can refinance with Citizens Bank online. But for those who are not comfortable with the new crop of online-only lenders, Citizens Bank is a good choice. Outside of student lending, Citizens offers banking, credit cards, business, investment and other accounts. If you want to keep your entire financial life, including your student loans, under one roof, you can do it at Citizens Bank. In addition to competitive interest rates, Citizens offers discounts for automatic payments (0.25 percent interest) and a loyalty discount for those who have a qualifying bank account (another 0.25 percent). This gives you an opportunity for a half percent off of your interest rate. Over time, that adds up. Because it is a bank, not a tech company, it does not offer some of the non-traditional lending criteria used at SoFi and Earnest. Citizens Bank will look at your income, credit score and other related factors when approving you for a loan and setting your rate. Want to learn more? Check out our full review of Citizens Bank. LendKey is a unique student loan refinance service. Unlike most others that fund the student loan refinance themselves, LendKey works with a wide range of community credit unions and other local lenders that use LendKey as a marketplace. This unique model gives borrowers access to low-interest rates. But rather than going to a whole list of community lenders and applying one-by-one, LendKey does the heavy lifting for you and takes you through the entire borrowing process. LendKey offers loans with no origination fees and offers flexible repayment options. While it offers an interest-only option for up to four years, this is a bad deal for you as your loan balance does not decrease unless you put payments into the principle. Interest-only loans aside, LendKey is a great platform for refinancing Federal and private student loans. If you were a particularly generous parent, you may have taken on student loans to support your child’s education. CommonBond is a good place for students to refinance their loans, but parents can also get in on the refinance action at CommonBond. CommonBond offers refinances for regular student loans and Parent PLUS loans. For parents, this may be a rare opportunity to refinance PLUS loans at a lower interest rate. CommonBond also lets parents transfer a PLUS loan to a child through a refinancing process. In addition to competitive interest rates, CommonBond offers a range of services to educate and protect borrowers. Programs include temporary payment postponements for those in a financial rough patch. To give you a warm, fuzzy feeling, CommonBond finances the education of a child in need for every new loan funded. When you say “I do,” you are not just taking on a spouse, you are taking on their financial burdens as well. For many Millennials (and others), that includes student loans. If you both have student loans and want to pay them off together, Splash Financial makes it simpler. While most student loan refinancing companies only let you refinance your own student loans, Splash Financial lets you refinance and consolidate student loans with a spouse. One payment total may be better than one payment each. And if you follow the rules about only refinancing to a lower interest rate, it should save you money as well. Splash Financial also offers compelling refinance options specific for medical residents and fellows. If you have the huge burden of medical school behind you, this may help you save big dollars while you are busy saving lives. Laurel Road is another online student loan/mortgage/personal loans lender. While they offer compelling rates and options for everyone, medical residents should be sure to give Laurel Road a look when refinancing student loans. Laurel Road offers loans with no origination fees and no prepayment penalty, so when you start earning your big doctor salary you can pay off your loans quickly without worrying about fees. You can also qualify for a lower payment while in your residency, but beware that this may just extend your student loans (and interest costs) over a longer period of time. But Laurel Road understands that doctors have good earning potential, so it treats doctors right. Parents also have some refinancing options at Laurel Road, including refinancing Parent PLUS loans. Purefy offers student loan refinancing in pretty much every possible combination you may want. That includes couple loans, parent loans and regular, old student loan refinancing. You can get your rate with a short five-question application before going on to the full online application, which takes about 15 minutes to complete. Purefy uses traditional credit scores, income and related requirements when approving borrowers. You must have an income of at least $42,000 per year (or $25,000 with a co-signer) to qualify. But the process is smooth and simple, and if it gives you a lower rate than you pay today, there’s nothing wrong with that.